To hit his terminal velocity target of 250 mph in that distance, car owner Richard Holt went to the Lamborghini experts at Underground Racing to give the already powerful 5.0L V10 more high speed motivation. Underground Racing had just the solution in the form of, Bugatti Veyron fans may want to grab a chair, 1900 hp of twin-turbocharged modifications. Keeping the charge air temperatures in check in this beast of a forced induction system is a Bell Intercoolers Liquid-to-Air intercooler. The Sahara Aventura is a multi-day, point-to-point endurance rally across a section of the Sahara Desert in Northern Africa. The rugged and unpredictable terrain of this event keeps the speeds low and a rock solid reliable vehicle is key to success. So when Proseries TT Team decided they were going to need to upgrade the Air-to-Air intercooler system for the diesel Land Rovers they called Bell Intercoolers. Carl Fausett, owner of 928 Motorsports, knows this well and he shows up with the right equipment for his attempts on the mountain. 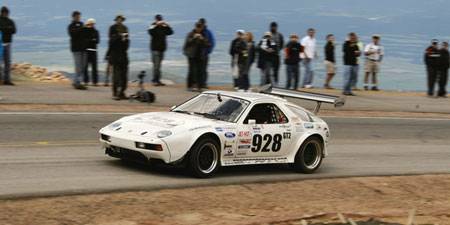 As his company’s name suggests, Carl has a fascination with the Porsche 928, so it is no surprise that his vehicle of choice for Pike’s Peak is a supercharged version of the venerable 928. The pressure fed, 5.1 liter V8, running a Bell Intercoolers Liquid-to-Air intercooler system, develops 450 hp and Carl uses every bit of it in the race to the top. 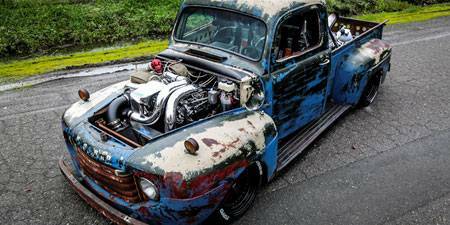 Old Smokey, the 1949 Ford F-1 Cummins Shop Truck built by Scotty Birdsall at Chuckles Garage is Astonishing! Powered by a 5.9 L Cummins inline-six diesel from a 2005 Freightliner with Silver Bullet 66 mm and Big Brother Schwitzer Series 91 mm turbochargers making 1200 HP and 2000 lb of torque. Old Smokey is designed for road racing, autocross, land speed racing, drag racing, drifting and daily driving. Custom Bell Intercoolers Air-to-Air and Liquid-to-Air Inter-stage Intercoolers help Old Smokey keep its Cool. 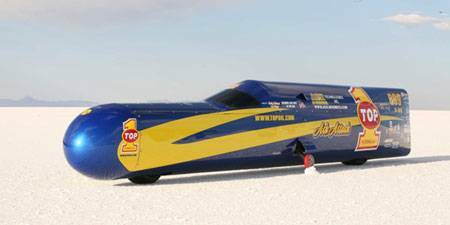 The Ack Attack Top 1 Oil motorcycle streamliner has been on of the fastest motorcycle streamliners in the world, having set the S-BG 3000cc record of 360.913 mph in September of 2008 at the Top 1 Oil World Land Speed Shootout at Utah’s famous Bonneville Salt Flats. Driver Rocky Robinson pilots the Mike Akatiff designed bullet, controlling the twin 1300cc Suzuki Hyabusa engines, fed by a single, massive turbocharger to provide over 900hp. These engines are intercooled by a single, Liquid-to-Air intercooler built specifically for the Ack Attack by Bell Intercoolers. Fully custom Cooling Systems for high performance Motorsports applications. 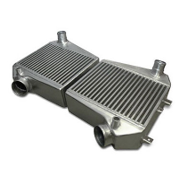 Gas or diesel, street or strip, Baja or Bonneville, Bell Intercoolers products are trusted by some of the best drivers and professional fabricators when choosing a cooling system that produces maximum power. 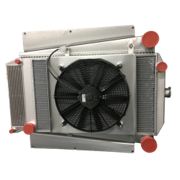 Bell Intercoolers has extensive experience in designing cooling systems for everything from 50hp import drag cars to 5000+hp tractor pulling applications. One of the distinguishing strengths of Bell Intercoolers lies in its custom design and manufacturing capabilities. Whether called to design and manufacture a single cooling system or a thousand, Bell Intercoolers has the knowledge and experience to quickly translate your cooling requirements into a high performance, high quality cooling system that's sure to lower your engine's intake temperature and increases its horsepower. 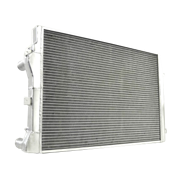 Intercoolers, Oil Coolers, Aluminum Radiators, Cooling Modules, Intercooler Cores, Radiator Cores... we have them. Full Design and Engineering Support. Short production lead-times. Fast Deliveries. We are Your Custom Cooling Experts. 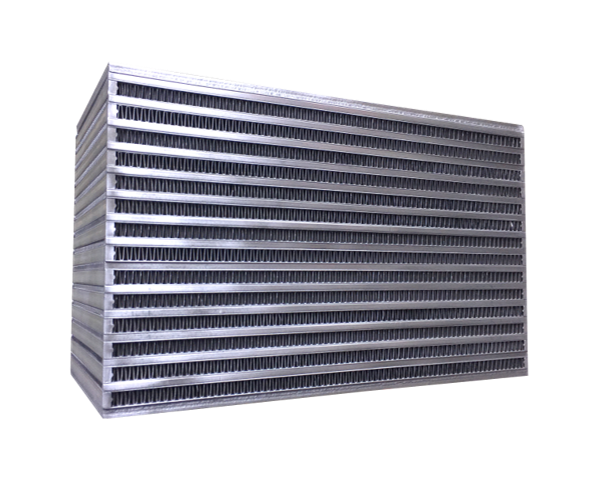 You will not find another cooling system that offers a better combination of performance, durability and flow than that of a Bell Intercoolers product. It is this combination that has allowed Bell Intercoolers to remain the top choice among elite racing teams, performance shops, discerning motorsports enthusiast and demanding OEMs. 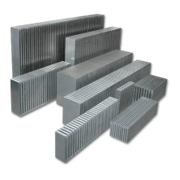 Air/Air and Liquid/Air bar & plate cores. Huge selection of sizes and configurations. Superior cooling and low pressure drop. Performance and Heavy Duty applications. Engineered to optimize weight, cost & space. Custom built to your own specifications. Designed for easy fit and installation. Building your own Intercooler assembly? 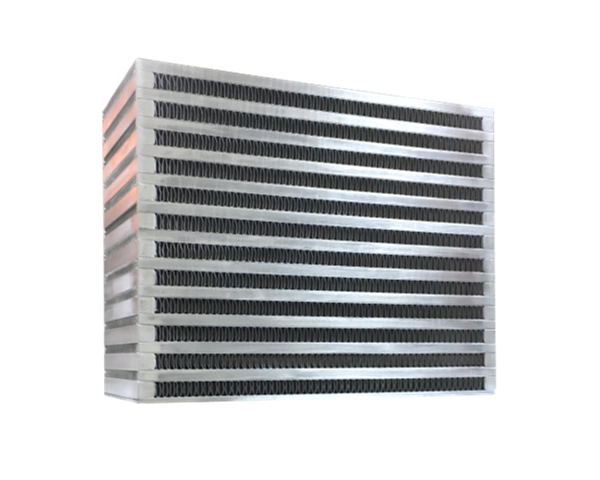 Need a high-quality Intercooler Core? Need it Tomorrow?.... No Problem! Over the years, thousands of satisfied customers have relied on Bell Intercoolers cores to build some of the the most power producing turbocharged applications around the world. If you are looking for exceptional performance from your turbocharged engine, consider adding a Bell Intercoolers bar and plate core. Giving you access to leading engineers in the performance cooling and forced induction field is part of our commitment to provide you with the best in intercooler technology and components. Refer to our Core Selection Guide to properly size your intercooler core or cooling system.